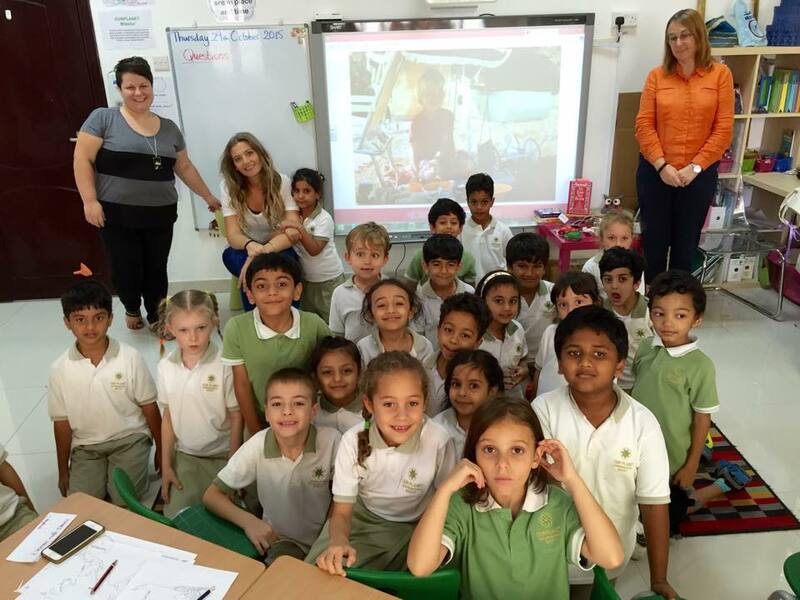 Lovely to talk with OURPLANET International School, Muscat today about the journey around Oman to make the portraits for the Omani Women series. The charming Muscat is where Gallery Sarah is located. It is right next to Bait al Zubair. With the sunlight giving a natural delight to the photographs, women adorning bright coloured garments come alive, the white colour of the wall making them appear even more vibrant and prominent. 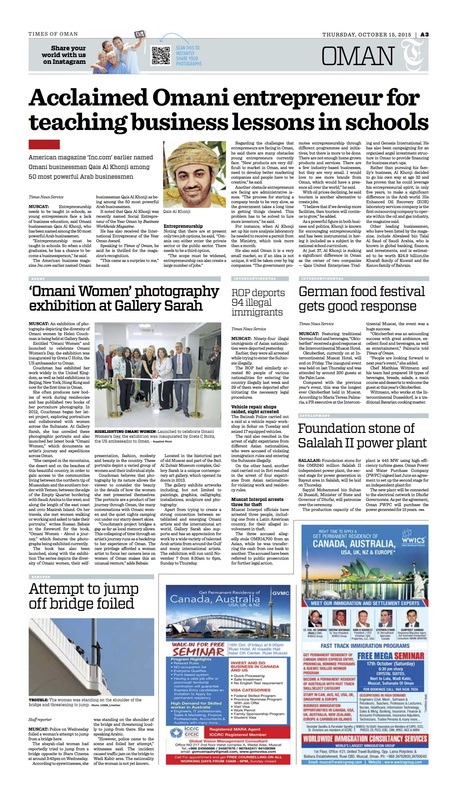 The photography exhibition is called Omani Women. 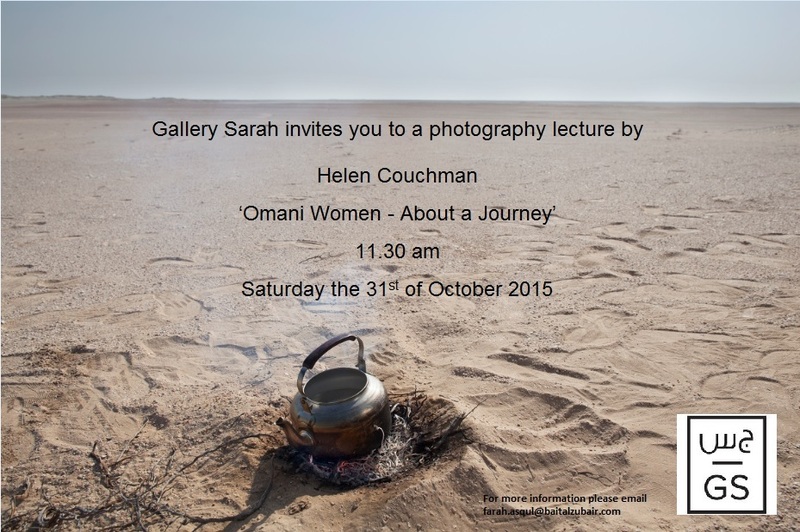 It is a collection of images of Omani women taken by Helen Couchman over three years. The idea took form in February 2012. She flew in from Beijing, where she was stationed at that time, back to London where she continued with her research and planned out the journeys. Helen travelled throughout the country capturing special moments. From the desert to the city, from a mother with her toddler to a working woman — the images portray the subject’s world in a unique way. The women are in their natural surroundings, in clothes they wanted to wear with poses they wanted to strike. Helen pointed out that one has to keep in mind that each image is a photograph. “I think it is interesting to consider the particularity of photography. Actually in my work as an artist I use mixed media. Sometimes I draw, I paint and sometimes make installations and so on. But when you photograph someone you have that moment when they are in your sight and it is about capturing that moment of time. In this project I deliberately asked the women, my sitters, if they would choose what they were going to wear and choose how they want to portray themselves with their hand gestures, how they would like to cover the faces or how they would like to present themselves, which is not necessarily typical often with artist’s portrait. The idea is that the artist chooses what the person wears or how the person sits and how he or she presents themselves because the artist has that vision. With this I wanted to collaborate with them and find out what they would like in terms of how they wanted to present themselves,” said Helen. Helen took three expeditions of 10 days each time. She chose not to stay in hotels and instead camped out. 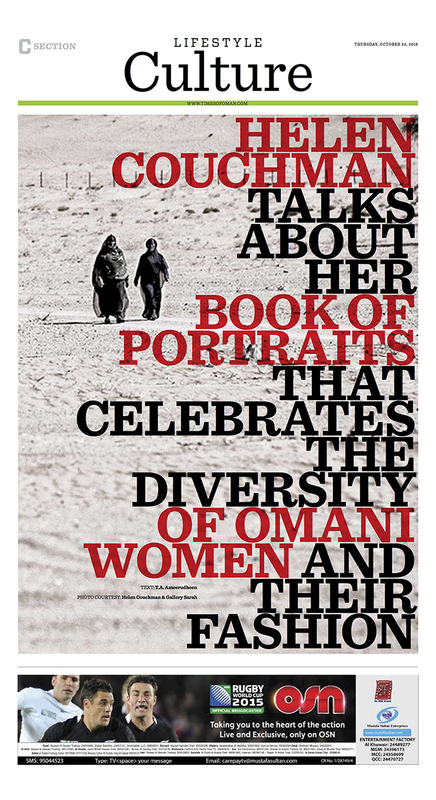 And it is one of those locations that inspired her to design the cover of her book entitled Omani Women, which compiles all the portraits that are in the exhibition. “Oman is a beautiful country and it is such a pleasure to camp here. I realised quite quickly that because of my funding, staying in hotels would make the project impossible for me. But I also wanted to reach far flung places and go to villages, mountains and the desert where it is not easy to find somewhere to stay. Camping gave me flexible time so I could spend time with women and follow each day as it played out. I would just camp wherever I reached. It was the most practical solution. It was a lovely way of spending my time in the evenings,” reflected Helen. There were lots of interesting places but one that caught her imagination was Haima. “I camped at one place twice because it is in the middle of the country. On two occasions I crossed it. It was the area around Haima. It was very central and desert-like. There was very little but the desert is beautiful. I woke up there and looked out at dawn and the desert was pale pink with little white flaxes. It was beautiful. I thought how beautiful to have such harsh climate, arid and difficult to live and yet have such soft colours, which you can argue as feminine colours. The sky was powder blue. It struck me so much that it became the cover of the book, which accompanies the exhibition,” said the photographer. 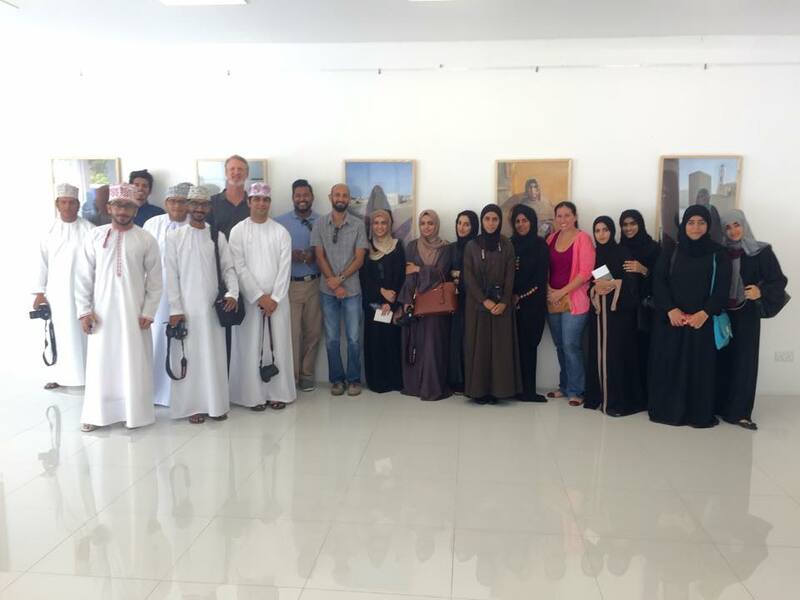 There were more sceneries and landscapes that came across during Helen’s journey but she tried hard to concentrate on her project — Omani Women. “When you are pursuing something, you find yourself in situations which you may not have expected. It is easy to get distracted by the things you are learning and finding out. This project was no different. I came across food, met kids, people playing music, saw landscapes, houses, farming, animals, things normally I would not have expected. This happened all the way through the project. But I tried very consciously to keep my focus on the project at hand because it is so easy to get side tracked. I find that you get good results when you put a lot of energy and focus in what I am doing. I am happy I completed it,” said Helen looking content. The three-week exhibition will conclude on November 5. Right next to Bait al Zubait in Muscat, one will find Gallery Sarah. 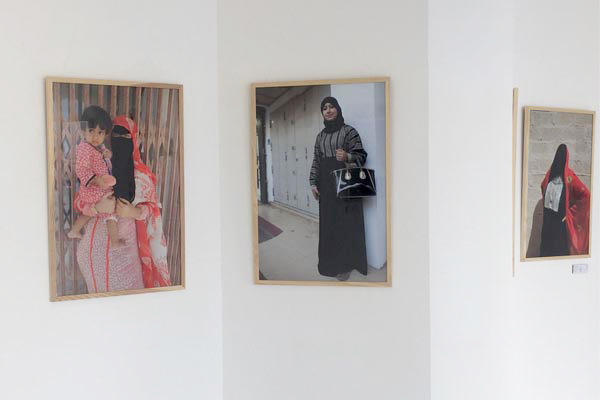 On display, photographs of women adorning bright coloured garments coming alive from the natural sun light, the white colour of the wall making them appear even more vibrant and prominent. 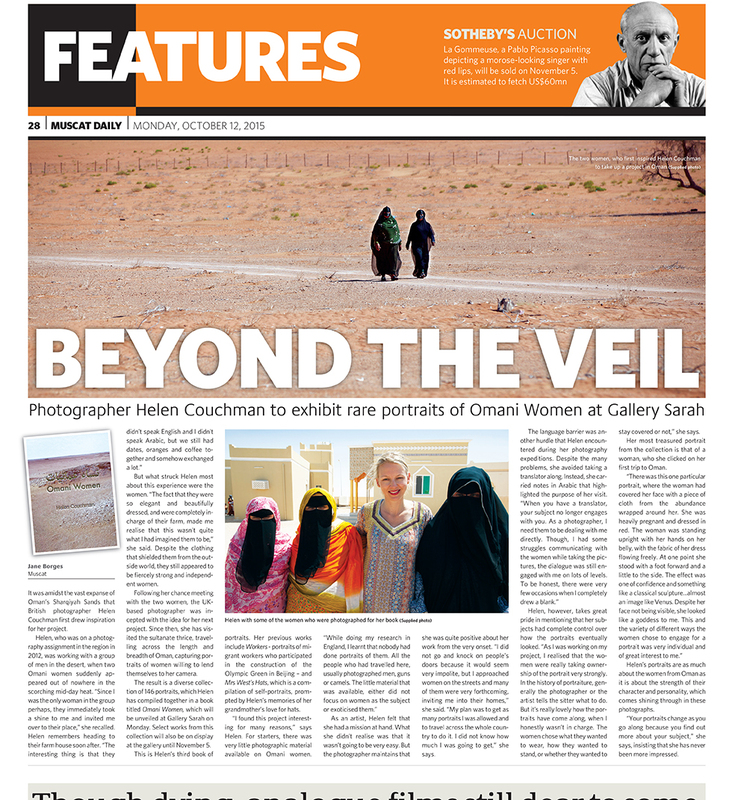 Find out how Helen Couchman dedicated her time to capture the captivating Omani Women. 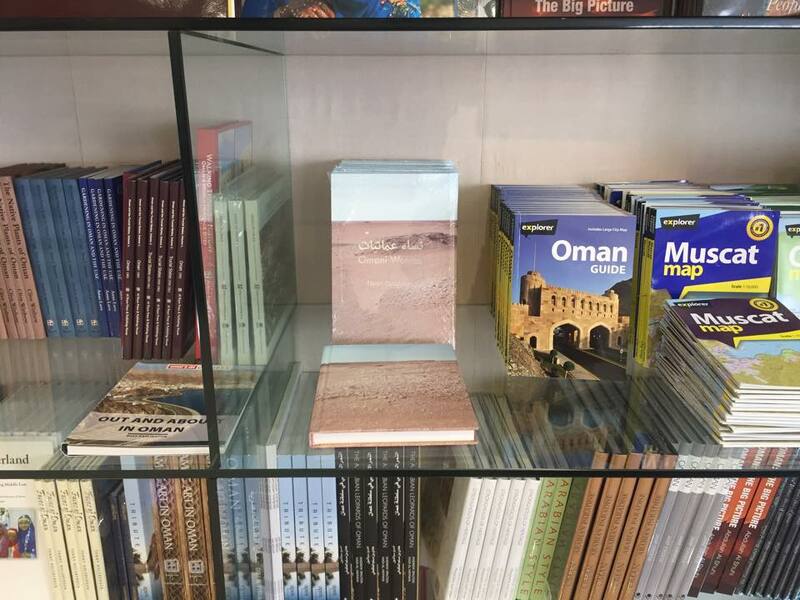 Books now stocked for sale at Bait Al Zubair Museum bookshop. Fully veiled so her expression remains a mystery to observers, the image of a mother from the interiors of Oman holding her child in her arms offers a rare glimpse into a world that is usually closed to strangers. But British photographer Helen Couchman was able to capture dozens of similar images after gaining the trust of the women. The result is a set of extraordinary photographs capturing Omani women in remote areas around the Sultanate, now on display at Gallery Sarah in Old Muscat. Many of photographs show the women dressed in their traditional attire, vibrant colours of vivid red and saffron yellow, some with a veil or burqa on their faces, others fully covered from head to toe. Armed with her camera and a 4×4, Helen went to great lengths to get the images, even camping out in the mountains and deserts. The hardest challenge, however, was breaking down cultural barriers and, as a lone Western woman, to gain acceptance from the communities she visited. During her three expeditions into the interiors of Oman, Helen criss-crossed the Sultanate, journeying from the northern tip of Musandam and the southern border with Yemen, as well as the vast expanse of the Empty Quarter to Masirah Island on the east coast. She managed to take a total of 146 pictures. They show women of different ages depicting the diversity of women, their self-expression, fashion, modesty and beauty in the environment that they feel most at home. “When I asked for permission to take pictures of these women, I told them to just pose how they wanted to represent themselves in the photograph,” says Helen. Beginning in 2012, the task of taking all these photos was arduous but rewarding. “I would just drive in the Omani Interiors and pass through the market area and other public places. When I spotted a woman, either alone or with her family, I would introduced myself using some Arabic and explain what I am doing and ask them if I could take a photograph of them,” says Helen. On most occasions, probably because Helen was a woman, she didn’t get no for an answer. “I think I was privileged being a woman with this series, as most women would have rejected [an approach] if I was a male photographer.” Surprisingly, it was the younger women who were more shy, often asking to be totally covered in the photo. “Sometimes they would bring in a male member of the family and the male would normally say yes or no, after which the woman would speak, so that there is no contradiction,” reveals Helen. Normally after her conversation with the family, they would ask Helen to go home with them, where sometimes the woman to be photographed would change her clothes into something more fancy and then pose for the photo. Occasionally, Helen managed to take more than one lady’s picture from the same family. On one occasion, when Helen was at a family home in Thumrait, one of the men spoke to her about the last British person who had entered their area. Although he didn’t remember his name, from the descriptions, Helen later figured out that it was Wilfred Thesiger, the British explorer who crossed the Empty Quarter in the mid-1940s. Helen was lucky to get a mix of everything in her photos – wealthy and poor women, girls aged 17 years to older women in their late 70s, and more modern women with their conservative counterparts. 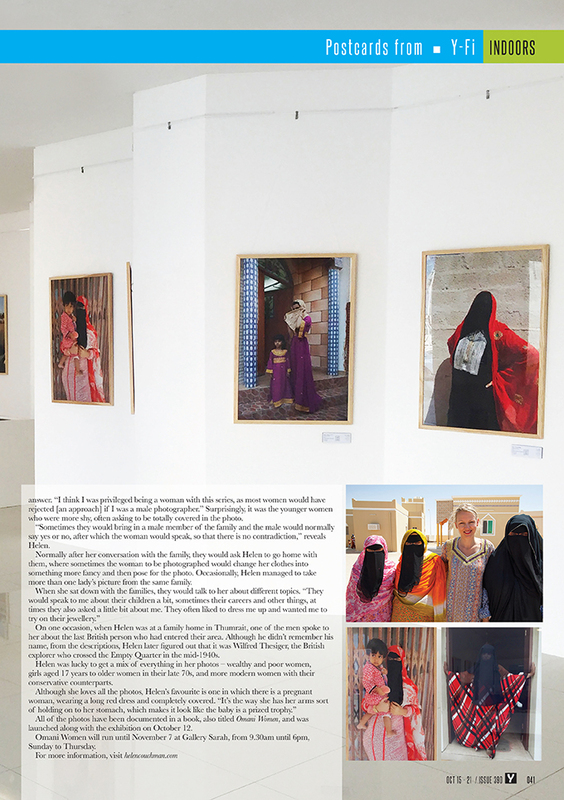 All of the photos have been documented in a book, also titled Omani Women, and was launched along with the exhibition on October 12. 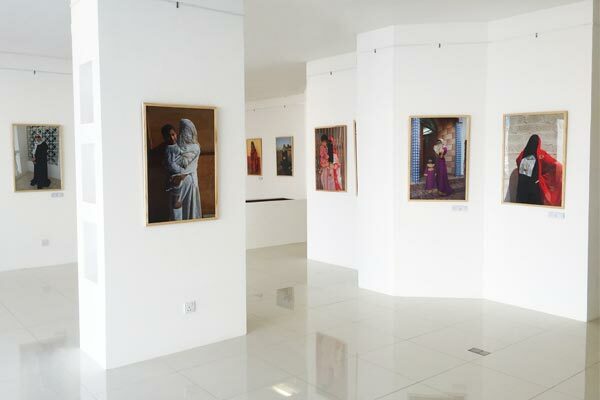 Omani Women will run until November 7 at Gallery Sarah, from 9.30am until 6pm, Sunday to Thursday. 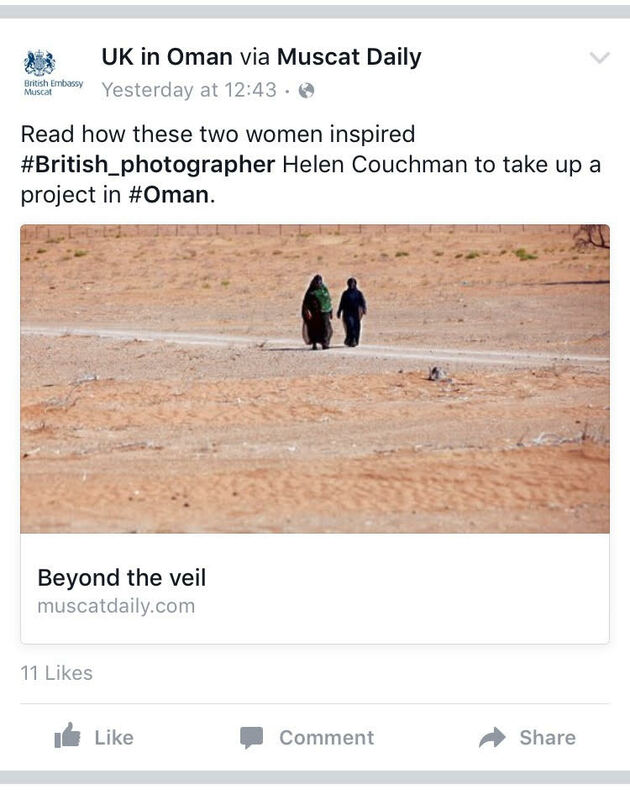 It was amidst the vast expanse of Oman’s Sharqiyah Sands that British photographer Helen Couchman first drew inspiration for her project. Helen, who was on a photography assignment in the region in 2012, was working with a group of men in the desert, when two Omani women suddenly appeared out of nowhere in the scorching mid-day heat. “Since I was the only woman in the group perhaps, they immediately took a shine to me and invited me over to their place,” she recalled. Helen remembers heading to their farm house soon after. But what struck Helen most about this experience were the women. “The fact that they were so elegant and beautifully dressed, and were completely in-charge of their farm, made me realise that this wasn’t quite what I had imagined them to be,” she said. Despite the clothing that shielded them from the outside world, they still appeared to be fiercely strong and independent women. Following her chance meeting with the two women, the UK-based photographer was incepted with the idea for her next project. 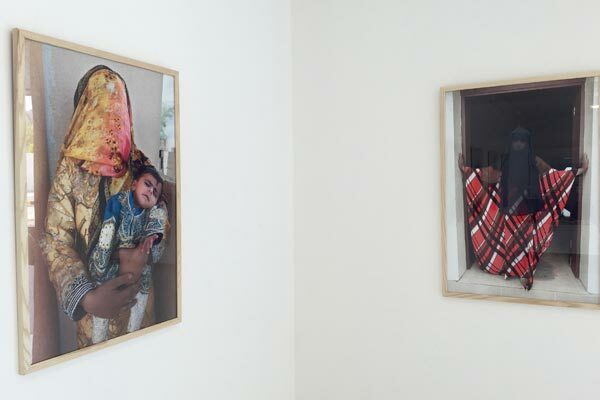 Since then, she has visited the sultanate thrice, travelling across the length and breadth of Oman, capturing portraits of women willing to lend themselves to her camera. 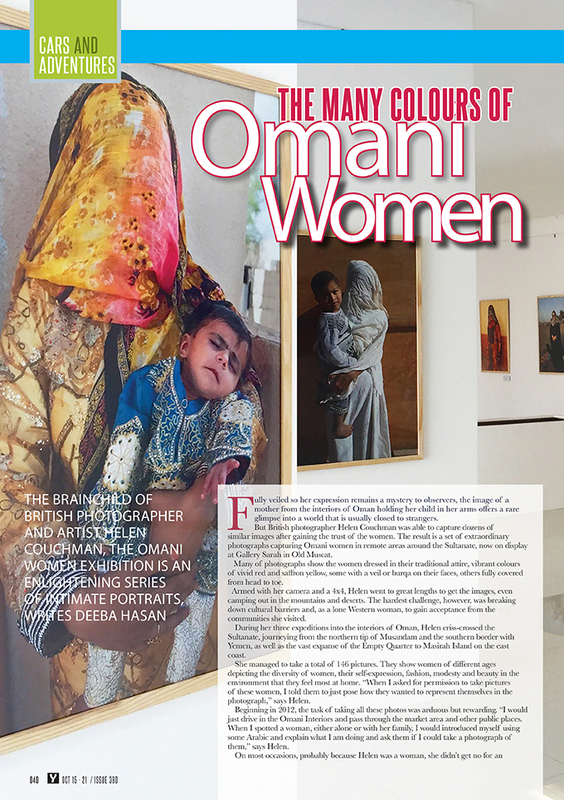 The result is a diverse collection of 146 portraits, which Helen has compiled together in a book titled Omani Women, which will be unveiled at Gallery Sarah on Monday. Select works from this collection will also be on display at the gallery until November 5.
include Workers – portraits of migrant workers who participated in the construction of the Olympic Green in Beijing – and Mrs West’s Hats, which is a compilation of self-portraits, prom-pted by Helen’s memories of her grandmother’s love for hats. wasn’t going to be very easy. But the photographer maintains that she was quite positive about her work from the very onset. “I did not go and knock on people’s doors because it would seem very impolite, but I approached women on the streets and many of them were very forthcoming, inviting me into their homes,” she said. “My plan was to get as many portraits I was allowed and to travel across the whole country to do it. I did not know how much I was going to get,” she says. Helen, however, takes great pride in mentioning that her subjects had complete control over how the portraits eventually looked. “As I was working on my project, I realised that the wo-men were really taking ownership of the portrait very strongly. In the history of portraiture, generally the photographer or the artist tells the sitter what to do. But it’s really lovely how the portraits have come along, when I honestly wasn’t in charge. The women chose what they wanted to wear, how they wanted to stand, or whether they wanted to stay covered or not,” she says. Her most treasured portrait from the collection is that of a woman, who she clicked on her first trip to Oman. Helen’s portraits are as much about the women from Oman as it is about the strength of their character and personality, which comes shining through in these photographs. “Your portraits change as you go along because you find out more about your subject,” she says, insisting that she has never been more impressed.